12 Pin: Chassis with 12 locking points. ABI: Automated Brokerage Interface Is a system available to U.S. Customs Brokers with the computer capabilities and customs certification to transmit and exchange customs entries and other information, facilitating prompt release of imported cargo. ACS: Automated Commercial System. The electronic system of the US Customs Service, encompassing a variety of industry sectors, that permits on-line access to information in selected areas. Act of God: An act occasioned by violence of nature which no reasonable human foresight, care, or diligence can anticipate or prevent. Ad Valorem: An additional charge when a shipper desires to be covered for a valuation in excess of that allowed by the carrier’s regular bill of lading. Agency: An organization working on behalf of a principal. Company who represents/acts on behalf of another entity. Air Freight Forwarder: Is a type of freight forwarder who specializes in air cargo. He usually consolidates the air shipments of various exporters, charging them for actual weight and deriving his profit by paying the airline the lower consolidated rate. He issues his own air waybills to the exporters, is licensed by the CAB (Civil Aeronautics Board) and has the status of an indirect air carrier. All-Water: Service rendered by carriers on a port to port basis; cargo moving via ocean carrier only. AMS: Automated Manifest System. The electronic system allowing a manifest inventory to be transmitted to the US Customs Service data center by carrier, port authority or service center computers. Anti-Rebating: Document signed by shipping companies and filed with Federal Maritime Certification Commission and in ocean tariffs attesting that rebates are not allowed and will not be paid by a company. Arrival Notice: Documentation that notifies consignee of arrival information and freight charges due. Form produced by carrier for advanced notification to consignee of cargo arrival. As Freighted: All cargoes freighted on same unit; Weight or Measure. Assignment: An act which involves transfer of rights, title, and interest for the purpose of assigning goods by endorsement of the bill of lading. Back Haul: The return leg of a round trip. Banding: Securing of cargo on a pallet generally by a steel/metal stripping. Bank Draft: A bank instrument wherein payment of funds is guaranteed. Bank Guarantee: Accepted in lieu of original bill of lading to release cargo. Barges: Conveyance used to carry loose cargo or containers in smaller volumes than mother vessels. Base Port: Port from which standard tariff rate applies normally serviced directly by members. Bay: Section of a vessel where containers or cargo is stored. Bay Plan: Section by section breakdown of a vessel to indicate where cargo is stowed. Berth: Where the vessel docks. Berth Terms: Carrier provides stevedoring. Bill of Lading or B/L: A document that establishes the terms of a contract between a shipper and a transportation company under which freight is to be moved between specified points for a specified charge. Usually prepared by the shipper on forms issued by the carrier, it serves as a document of title, contract of carriage, and a receipt for goods. Bill of Lading Number: Carrier’s reference number assigned to bill of lading. Bill of Lading Terms: All details relevant to shipment. Bolster: Bracing of a commodity in a container. Bonded Warehouse: A warehouse storage area or manufacturing facility in which imported goods may be stored or processed without payment of customs duties. Booking: Cargo commitment made to carrier. Reservation. Box Rat: A lump sum charge to move cargo in various size containers from origin to destination. Boycott Certificates: Required by certain countries restricting carriage to certain flag vessels. Breakbulk: Loose cargo containers and non-containerized cargo; vessel whose hatch is built to accommodate various bulk commodities. Breakbulk Vessel: Carries containers and non-containerized cargo; vessel whose hatch is Vessel built to accommodate various bulk commodities. Bulk Carrier: Vessel specifically built to carry raw materials. Bulk Containers: Containers used specifically for raw materials. Bull Ring: Rings for lashing the cargo in containers. Bunker Adjustment Factor: Surcharge assessed by carrier applied to freight rates to supplement fuel costs. Bunkers: Fuel used by vessel. C & F: Cost and Freight. Terms of sale. Seller quotes price including the cost of goods and all transportation charges to the named point of destination. Cabotage: Shipments between ports of the same nation. Many countries, like the U.S., have laws requiring domestic-owned vessels to perform domestic interport water transportation services. Cargo Bays: Doors at cargo warehouse where vehicles back in to load/unload cargo. Carrier: One who owns, operates or charters vehicles of transportation for movement of cargo. Carrier’s Certificate: U.S. Customs form used in lieu of bill of lading. CBM: 1 Cubic Meter = 35.314 cubic feet. Cell: Container slot where container fits into place on vessel. Cell Guides: A guide for each container slot. Certificate of Origin: A statement signed by the exporter, or his agent, and attested to by a local Chamber of Commerce, indicating that the goods being shipped, or a major percentage of them, originated and were produced in the exporter’s country. CFS: Container Freight Station. Storage/warehouse facilities for loading/unloading less than full container orders. CFS Cargo: Loose containerizable cargo handled in a container freight station. CFS: Container Freight Station. The term CFS at loading port means the location designated by carriers for the receiving of cargo to be packed into containers by the carrier. At discharge ports, the term CFS means the bonded location designated by carriers in the port area for unpacking and delivery of cargo. Chains and Binders: Used to secure oversize cargo to equipment. Charter VSC: Vessel whose owner makes vessels available on bid basis. Charterer: An organization/company who enters an agreement with a principal to use their vessels for a specified time. Chassis: Trailer or wheeled unit on which a container is placed in order to move container over the road. Claim: A request for payment by a customer due to a shortage or damage to cargo. Clear/Clean on Board: Bill of lading issued without exceptions. COFC: Container on a Flat Car. Containers moving on articulated flat rail cars without chassis. Collect: Money to be paid at destination prior to release of bills of lading. Combined Transport Bill of Lading: Provides a combined transport by at least two different modes of transportation from a place at which the goods are taken to a place designated for delivery. Commercial Invoice: An itemized list of goods shipped, usually included among an exporter’s collection papers. Commodity Description: Description of goods being shipped. Common Carrier: A public or privately owned firm or corporation that transports the goods of others over land, sea, or through the air, for a stated freight rate. By government regulation, a common carrier is required to carry all goods offered if accommodations are available and the established rate is paid. Company Guarantee: A letter of guarantee from a company identifying the carrier of responsibility associated in the release of goods in lieu of bill of lading. Protection in writing to carrier by private company. 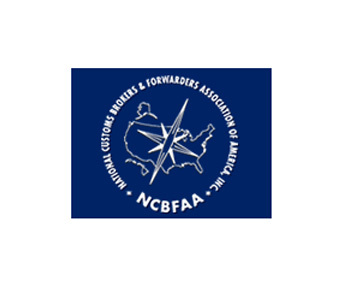 Conference: Group of carriers allowed by FMC to determine a level of rates, services and rules of a given trade route bound together by a common tariff or certain geographic area. 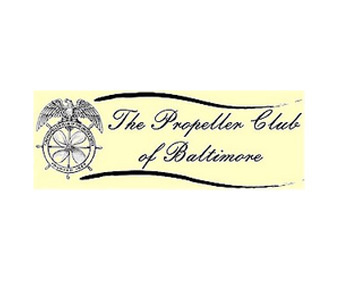 Conference: A group of steamship companies offering equitable freight rates, standardized shipping practices and regularly scheduled service between designated ports. These arrangements are given anti-trust immunity as authorized by the Shipping Act of 1984. Conference Carrier: Carrier that belongs to the conference. Conference Certificate: Certificate declaring that the carrier is a member of the conference. Connecting Carrier: An intermediary carrier utilized to connect cargo to/from mother vessel. Consignee: The individual or company to whom a seller or shipper sends merchandise and who, upon presentation of necessary documents, is recognized as merchandise owner for the purpose of declaring and paying customs duties. Consignment: Is the physical transfer of goods from a seller, consignor, with whom the title remains, to another legal entity, consignee, who acts as a selling agent, selling the goods and remitting the new proceeds to the consignor. Consignor: Person or firm by whom articles are shipped. Consolidation: Effort extended to put same destination cargo together in same container for ease of delivery. 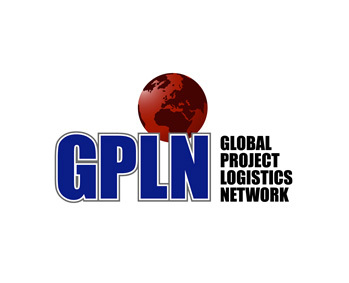 Consortium: Group of carriers pooling resources in a trade lane to maximize their resources efficiently. Consular Invoice: Document required by some foreign countries showing exact information as to consignor, consignee, value description, etc. for a shipment. Consulate Copy: Copy of the B/L signed for consulate purpose. Consulate Legalization: Shipping documents must be presented to the Consul for legalization, either prior to or right after sailing. Container: A truck trailer body that can be detached from the chassis for loading into a vessel, a rail car or stacked in a container depot. Containers may be ventilated, insulated, refrigerated, flat rack, vehicle rack, open top, bulk liquid or equipped with interior devices. A container may be 20 feet, 40 feet, 45 feet, 48 feet or 53 feet in length, 8’0″ or 8’6″ in width, and 8’6″ or 9’6″ in height. 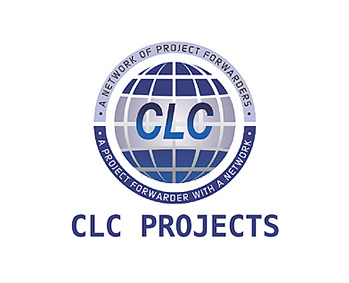 Container Load Plan/CLP: Describes how the inside of container is stowed with cargo. Container Number: Identification number assigned to each container. Container Pool / Depot: Where containers are stored usually inland for container availability to shippers or consignees. Carrier location to hold empty containers, various points for shipper’s utilization; an area designated for storage of empty . Container Ship: Vessel built to accommodate ocean containers. Container Stuffing List/CSL: List showing how cargo is stowed in each container. Container Yard: Facility where full and empty containers are stored. Containerized: All cargo loaded into a container. Cooper: Warehouse worker assigned to reconstruct or repair cartons, crates, boxes, etc. Corner Posts: Steel reinforcements at corner of each container. Cost Insurance: Terms of sale. Seller quotes a price including cost of goods, insurance Freight (CIF)and transportation charges to point of destination. Credit Agreement: Agreement between carrier and shipper for release of cargo with promise to pay ocean freight within specified time. Document signed by the shipper which binds shipper to credit terms of the conference or agreement body. Cross Docking: The process of moving merchandise directly from the receiving dock to the shipping dock, eliminating the need to place the merchandise in storage. Cubic Foot: 1 Cubic Foot = 1728 Cubic Inches. Currency Adjustment Factor/CAF: Percentage of money used to equalize a difference in currency values. A percent of the base ocean freight. Customs: Government agency which inspects cargo, insures proper cargo clearance, proper forms are filed, and correct duties/fees are paid. Customs Clearance: Shipment cleared by Customs for movement. Customs Duty: Monies paid to U.S. Customs for goods entered into U.S. from foreign countries. 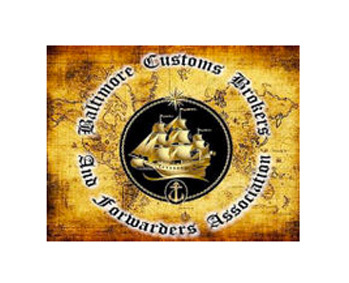 Customs House Broker/CHB: Agent representative licensed by FMC who negotiates customs clearance for import cargo on behalf of the consignee through U.S. Customs. Customs Station: Area where containers are brought for Customs inspection. Customs Tariff: A schedule of charges assessed by the federal government on imported goods. Customs Warehouse: Where cargo is temporarily stored awaiting inspection or where cargo is stored when seized by Customs due to lack of permit/entry. Cut Off: Last possible date cargoes may be delivered to a ship or designated point. CY: Container Yard. Container yard where full containers are received and picked up. Storage area for container. CY/CFS: Cargo loaded in a full container by a shipper at origin and delivered to a pier facility at destination where it is devanned for delivery. CY/CY: Cargo loaded in a full container by a shipper at origin and delivered to carrier’s terminal for vessel loading and discharged at destination terminal for pick up intact by consignee. Dangerous Cargo: Cargo of a hazardous nature as classified under Coast Guard regulations. DDC: Destination Delivery Charge. A charge assessed by the carrier for handling positioning of a full container within the container yard. Deconsolidation: Breakdown for distribution of various importers LTL cargo for movement to ultimate destination. Delivery Order/DO: Document authorizing domestic carrier to pick up cargo. DIM: Dimensionalized Weight. Determined by calculating length x width x height and dividing by 166. Charged when actual weight is less than the dim. weight. Direct Consignment: One company shipping directly to another without a third party. Discharge Port: Port terminal where cargo is unloaded from vessel. DIT: Destination Interchange Terminal: The facility operated by the ocean carrier or his agent at which containers are interchanged with the delivering motor carrier. Diversion: A change made either in the route of a shipment in transit or of the entire ship. Dock: Where vessel positions itself to load/unload cargo. Dock Receipt: Document used to transfer cargo from drayman acting on shipper behalf of steamship line. Double Stack Car: Rail car capable of carrying two containers stacked one on top of each other. Draft (Bill of Exchange): A written order for a certain sum of money to be transferred on a certain date. Draft Sight and Time: Sight Draft or S/D. A draft so drawn as to be payable upon presentation or acceptance. Drayage: Haulage of containers over the road via truck. Drydock: Used to lay up vessels for repair. Dunnage: Material used around cargo to prevent breakage or shifting, normally provided by shipper. Its weight is included in the rating. Duty Drawback: Payment returned for cargoes re-exported or trade show material returned. A customs refund on re-exported cargo. EDI: Electronic Data Interchange. Electronic versions of common business documents that will work on a global scale. EIR: Equipment Interchange Receipt. Documents used to receive or deliver a full or empty container/chassis at any terminal or inland container pool. Electronic Data Interchange: Communications by computer to computer from one company to another. Equalization: Compensation for additional charges incurred by shipper for delivering cargo to port designated by the carrier other than the closest port to the supplier. Export Declaration: Ex Dec. A form to be completed by the exporter or their authorized agent and filed in triplicate by a carrier with the United State Collector of customs at the point of exit. It serves a twofold purpose 1. 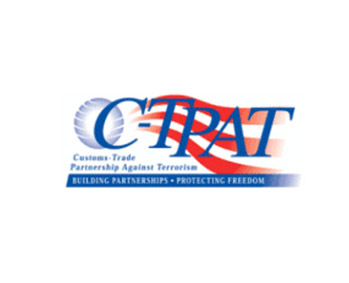 Primarily, it is used by the U.S. Bureau of Census for the compilation of export statistics on United States foreign trade (for this reason an export declaration is required for practically all shipments from the United States to foreign countries and the United States possessions, except for mail shipments of small value, or for those of a non commercial character); 2. The declaration also serves as an export control document because it must be presented, together with the export license, to the United States Customs at the port of export. If the goods may be exported under general export license, this fact must be stated on the export declaration. Export Documents: These documents required to export a shipment. Ex-Works: Buyer receives the cargo directly from the factory and thereafter arranges shipment, insurance and other related services themselves. FAK: Freight All Kinds. Usually refers to consolidated cargo. FAS: Free Along Side. Seller quotes a price including delivery of the goods alongside the vessel. Federal Maritime Commission: Government agency responsible for overseeing regulatory aspects of the Shipping Act. Feeder: The transportation vehicle utilized to relay cargo from mother vessel to ultimate destination. FIO: Free In and Out. A party other than the steamship line provides for the stevedoring. Flag Vessel: Every vessel has a flag distinguishing nationality. Flag Waiver: Permission from government to carry cargo otherwise labeled for flag recipient. Flat Bed: Truck designed to haul heavy or oversized non-containerizable cargo. Flat Car: Railroad car on which container or container/chassis is placed. Flat Rack: 20′ & 40′ metal platform with open sides, with bulk heads. i.e., no roof or side walls. Floating Cranes: Heavy duty cranes brought in to handle cargo when unable to use gantry crane. FMC: Federal Maritime Commission. U.S. regulatory body affecting ocean-going carriers. A U.S. government body that overseas all maritime rules and regulations. FMC Number: Number assigned by a government agency authorizing a freight forwarder to operate. FOB: Free On Board. Seller is responsible for inland freight and all other costs until the cargo has been loaded on the vessel/aircraft. Buyer is responsible for ocean/air freight and marine/air insurance. Force Majeure: State of emergency; all tariff rules can be altered to adjust shipper’s/carrier’s needs. Foreign Trade Zone: Designed location providing duty-free storage area. Fork Lift: Truck used for loading/unloading cargo into container. Forwarder’s Cargo Receipt: A negotiable document issued by a forwarder which will satisfy legal requirements for a letter-of-credit. Since a forwarder is not an NVOCC it cannot issue actual Bills of Lading. The FCR is a legally binding substitute for the B/L which was pioneered by Sea-Land and is now an industry standard. Free Time: Storage allowed at carrier facility without penalties assessed. Freight Claim: Formal letter with supporting documents, i.e., B/L, D/R, temperature chart, etc., making claim against carrier for lost or damaged cargo. Freight Collect: Payment due at destination. 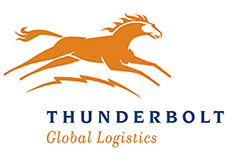 Freight Forwarder: Federally licensed by FMC. An individual or company , acting on the behalf of a shipper, who arranges all necessary details of shipping and documentation for a manufacturer or exporter, which includes employing the services of a carrier of carriers. Freight Release: Evidence that the freight charges for the cargo have been paid. If in writing, it may be presented at the pier to obtain release of the cargo. Normally, once the freight is paid freight releases are arranged without additional documentation. aka Freight Bill Receipt. Freighted B/L: A bill of lading that lists all charges relevant to cargo movement from origin to destination. Full Cellular Vessel: Fully containerized vessel. Gantry Crane: Port crane to load and discharge containers from vessel, able to be positioned by moving along rail tracks. Gear & Tackle: Ship’s equipment used to level, secure and brace cargo for loading/unloading from vessel. General Average: Declared upon vessel damage, whereupon shippers pay a certain percentage of damage incurred; carrier declares percentage of responsibility by all participants. Genset: Generator used to regulate temperature in a reefer container; can be run on its own power or plugs provided on pier/vessel. GO: General Order. Cargo seized by Customs due to failure on part of consignee to make Customs entry within allotted free time. GO Warehouse: A Customs warehouse utilized when cargo goes into General Order due to lack of permit/entry filed. Goose Neck: Specialized chassis. Has hook-up higher than bed of chassis. Hatches: Where cargo is placed in conventional vessels. HBD: Harbor Dues. Assessment when vessels enter harbor. Heated Storage: Warehouse specifically heated to protect bottle cargo. Heavy Lift: Single commodity exceeding the capacity of normal loading equipment and requiring special equipment and rigging methods for handling. High Cube Container: Container 40′ in length, 9’6″ in height. Holds: Sections of a vessel; bays. House Air Waybill: An air waybill issued by a freight consolidator. House to House: Another term for CY/CY. House to Pier: Shipper loaded container that will be deconsolidated at destination terminal for distribution. Hustler: Tractor that pulls containers around pier for positioning. IA / Independent Action: Independent Action. A carrier can take an independent action in a conference resulting in a unique rate for that carrier within a conference; ability to file a rate independently of other carriers’ action. ICC: Interstate Commerce Commission. International Chamber of Commerce. IHC: Inland Haulage Charge. Cost to move a container to an inland destination. ILO: International Labour Organization. An United Nations agency, dealing with employment rights and working conditions, covering work at sea and in ports. ILWU: International Longshoremen Workers Union. IMCO Classification: International Maritime Control Organization Classification. Classification for hazardous cargo. IMDG: International Maritime Dangerous Goods Code. A code, representing the classification of dangerous goods as defined by the International Maritime Organization, IMO, in compliance with international legal requirements. IMO: International Maritime Organization. An United Nations agency concerned with safety at sea. Its work includes codes and rules relating to tonnage measurement of vessels, load lines, pollution and the carriage of dangerous goods. Its previous name was the Inter-Governmental Maritime Consultative Organization, IMCO. Importer: Receiver of goods from an overseas origin. In Bond: A customs program for inland ports that provide for cargo arriving at a seaport to be shipped under a Customs bond to a more conveniently located inland port where the entry documents have been filed. Customs clears the shipment there, and the cargo is trucked to its destination, which normally is close to the inland port. Inland Point: City with no port; landlocked city. Insurance Certificate: Document which assures the consignee that insurance is provided to cover loss or damage to the cargo while in transit. Interchange Agreement: Contract between steamship company and truckman that legally permits interchange of equipment. Intermodal: Movement of cargo involving more than one form of transportation. IT: In-Transit. Type of customs document governing movement of in-transit bonded cargo. Jones Act: Section 27 of the Merchant Marine Act of 1920, requiring that all shipments by water between ports in the United States (including Puerto Rico) be carried by U.S.: flag, U.S.: built, and U.S.: crewed vessels. KGS: 1 Kilogram = 2.205 lbs. Laden on Board: A bill of lading that indicates a shipment has been loaded on board a vessel. Land-bridge: Cross country rail service connecting two ocean ports. Lash Barge: Type of container utilizing barges instead of container. Lash Vessel: Acronym for Lighter Along Ship. Vessel able to carry multiple barges. Lashed: Barge system; barges loaded on a vessel instead of a container. Lashing Equipment: Various types of equipment used to secure containers/cargo on board vessel. LCL: Less than container load; less than car load. Letter of Credit: L/C. Bank-issued document authorizing transfer of funds from buyer to seller under established terms and conditions in international transactions. Letter of Guarantee. 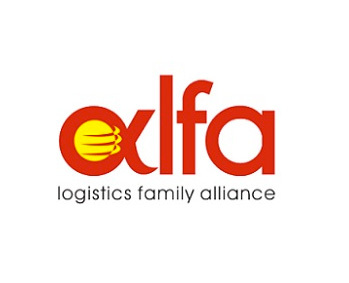 : Letter provided to carrier in lieu of surrender of original bill of lading. Letter of Indemnity: Frees one from any responsibilities. Protection in writing to carrier from performing a deviation to normal business. License Cargo: Cargo necessitating license to move. Liner Service: Carrier advertises fixed schedule of services; port calls not made on inducement basis. Liner Train: Specially designed rail line for regular movement of liner/containerized cargo for one carrier. LNG Carrier: Liquefied Natural Gas Carrier. Load Length: Any piece of cargo exceeding 40′ in length. Load Port: Port where cargo is actually loaded on vessel. Low Boy: Special trailer used to accommodate over height cargo with flat bed, approximately 12′ above ground. LS or LM: Lump Sum. A local freight rate which is inclusive of all charges. LT: 1 Long Ton = 2,240 lbs. Manifest: An invoice of all cargo loaded on board a vessel. Entire listing of all cargo on board a vessel required by line, customs, Coast Guard. Marks & Numbers: The identifying detail on a package. Actual markings which appear on packages. Memo B/L: A bill of lading issued for in house purposes for cargo short shipped or loaded in advance of issuance of full bill of lading. Merchant Haulage: Inland transportation performed by an inland carrier contracted by and for the account of the shipper. Micro-Bridge: Cargo moves via land from/to inland point; another term for IPI. Minimum B/L: The least amount you can charge per individual bill of lading. MLB: Miniland Bridge. Cargo moves port to port via land; port to port via rail; port destination served overland by rail. MT: 1 Metric Ton = 2,204.62 lbs or 35.314 cft. Negotiable B/L: Original bill of lading endorsed by shipper that is used for negotiating documents with bank. Negotiating Bank: Bank where shipper negotiates documents or where documents are first presented usually at country of origin. Neutral Body: Investigating body designated by conference carriers to insure that rules are adhered to. No Show: Cargo that fails to appear for vessel that is originally booked for. Non-Negotiable B/L: Copy of original B/L which cannot be negotiated with bank. 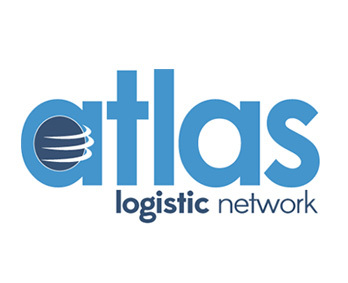 Notify Party: Company/person who appears on the bill of lading to be notified when cargo arrives. Could be different from consignee — usually actual receiver of goods. OBL: Original Bill of Lading. Off Dock Location: Depot away from main terminal used to load/unload cargo-truck/rail. On Board B/L: A Bill of Lading in which a carrier acknowledges that goods have been placed on board a certain vessel. On Carriage: Movement of cargo by connecting carrier to ultimate destination. On Deck Stowage: Cargo stowed on deck of vessel. Open Side/Open Top Container: Container open on top and sides with frame. Open Top Container: Container with open top and tarp provided. Opening Bank: Bank letters of credit are opened usually at destination. OS&D: Abbreviation for “Over, Short or Damaged”. Usually discovered at cargo unloading. Out of Gauge: Cargo which exceeds the internal dimensions of the container in width, length, or height. Over Landed: Cargo taken beyond original; port of discharge. Over the Road Limitations: State or country regulations for weight limits allowed per container/truckload. Packing List: List of packages for each shipment showing individual breakdown in weights/measures. Pallet: Wooden structure generally 48 x 48 used to support cargo and ease movement by forklifts. Particular Average: Carrier determines responsibility by specific participant. Pentle Hook: Steel pivot upon which chassis and cab are connected. Per Diem: Cost per day. Charge on container held by customers for an extended time; charges levied upon a trucker due to late return of equipment. Perishables: Any cargo that loses considerable value if it is delayed in transportation. Usually refers to fresh fruit and vegetables. Pier: Where vessels pull alongside for loading/discharging. Pier to House: Cargo received at pier loaded in a container and picked up at destination terminal intact by consignee. Pier to Pier: Cargo movement delivered loose to pier at origin point and picked up loose at destination terminal. Piggyback: Point-to-point movement of one transportation vehicle on another. Pilferage: Cargo stolen from container or terminal. Pilot Boat: Conveys pilot to ocean vessel. Place of Delivery: Actual final destination of cargo could be water or inland. Plimsoll Mark: Depth to which a vessel may safely load, identified by a horizontal line around the ships hull. Positioning: Moving of empty equipment from surplus areas to deficient areas. 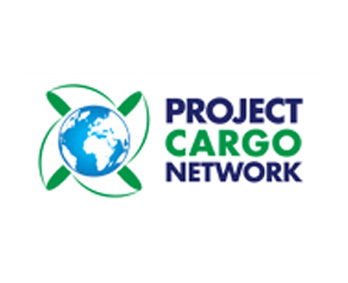 Prepaid: Shipper responsible for ocean freight charges prepaid at destination. Rail Pig: A railroad owned container. Rail Ramp: Used to unload rail cars or trailers. Rail Terminal: Place where railroad cars terminate and/or turn around. Rail Yard: Location where rail cars are concentrated for loading and unloading of containers. Railhead: Location for loading and unloading containers at railroad terminal. Rates: Charge for moving cargo between two points. Received for Shipment B/L: Issued on receipt of cargo; cargo not necessarily loaded yet. Reefer: Unit equipped to carry refrigerated cargo. Reefer Plug: Electrical outlet on ship for maintaining temperature. Return Cargo: Cargo to be returned to original place of receipt. Revenue Ton: Number of tons which freight is paid for; per ton. RO/RO Vessel: Roll-on/Roll-off Vessel. Vessel with dual cargo handling capability including a ramp where wheeled cargo can be driven into ship. Sailing Schedule: Published schedule of sailing dates of vessels departures and arrivals. Schedule B: Government listing to properly declare cargo; seven digit number assigned by the Bureau of Census to identify types of Cargo. Statistical Classification of Domestic and Foreign Commodities Exported from the United States. Sea Way Bill: Bill of lading used for through consignment; no original bill of lading required, I.D. only. Sea-Air: Container moving both modes. Movement of cargo by sea to connecting discharge port, then air freighted to ultimate destination. Seals: Attached to locking device to prevent pilferage and certify no tampering, made of plastic or aluminum attached by Customs or carrier. Self Sustained Vessel: Vessel that does not require shore equipment to load/unload cargo. Set Point: Specific temperature that a refrigerated container has been set to keep. Ideally the set point and the actual temperature should be identical throughout the voyage. Shed: Small building that holds LTL cargo for loading vessel. Ship’s Chandlers: Suppliers of various items to the vessel. Shipper: Group, company, person designated on OBL who sold cargo to ultimate receiver of goods. Shipper’s Export Declaration: SED. A form required by the Treasury Department and completed by a shipper showing the value, weight, consignee, destination, etc., of export shipments as well as Schedule B identification number. Service Contract: A rate negotiable and agreed to between two parties allowing for a particular rate based on volume; written agreement between carrier and customer for specified rate, volume, and service level by carrier over an agreed time. Shipper Pool: Where containers belonging to shipper are stored. Shipper’s Load Stow & Count: Contents of a container as stowed and counted by shipper. Cargo loaded and stowed by shipper in container; CY load. T & E: Transfer and Export. A Customs Document. Tanker: Carries liquid commodities (oil, etc.). Tanker Tainer: Container used to transport liquid commodities. Tare Weight: Weight of an empty container. Gross weight = net weight + tare weight. Tariff: List of rules, regulations and rates applicable to specific trade lanes. Document with regulations and rates applicable to specific trade lanes. A schedule of charges to move commodities between two areas. Terminal: Building closely aligned to dock used to collect, store and dispatch cargo. TEU: Twenty Foot Unit. Twenty Foot Equivalent container. THC: Terminal Handling Charge. Charge assessed by the terminal for the positioning of cargo within the terminal/yard. Tiers: A horizontal division of a vessel from bottom to top. The numbers run from bottom to deck and from deck upwards and are used as a part of the indication of a stowage place for containers. To Order of: Shipper is owner of goods until endorsed B/L is presented to carrier by Shipper/receiver. Top Handlers: Equipment that unloads/loads containers at container yard. TIR: Transport International des Merchandises par la Route; Trailer Interchange Receipt; Terminal Interchange Receipt; Transport Internationale Route; Interchange receipt between trucker and ocean carrier; certificate of container/equipment condition at time of interchange. Document used for the interchange of containers showing condition of container when picked up at the terminal. TOS: Terms of Sale (i.e., FOB/CIF/FAS). Trading House: Consortium of buyers/sellers of various commodities at high volume. Underdeck Stowage: Cargo/container that is stowed below main deck. Stowed under deck. Unit Train: Train comprised of containers from one container company. VAT: Value-Added Tax. A sales or consumption tax which the end user pays. Typically, this is a “hidden” tax, added to the list price of the goods in question. Ventilated Container: Container used for cargo needing ventilation. Vessel Ton: 100 cubic feet. VIAP: Vessel Insurance Additional Premium. VOCC: Vessel Operating Common Carrier. Voyage: Movement of vessel from one point to destination. Waiver: Document used to allow cargo carriage by different flag vessels than original destination country vessels. Also on government cargoes where cargo flag cannot carry the shipments. Warehouse: Building usually located in back up areas or inland where cargo is stored. Warehouse Receipt: A receipt of commodities deposited in a warehouse, identifying the commodities deposited. It is non-negotiable if permitting delivery only to a specified person or firm, but it is negotiable if made out to the order of a person or firm or to a bearer. Endorsement (without endorsement if made out to bearer) and delivery of a negotiable warehouse receipt serves to transfer the property covered by the receipt serves to transfer the property covered by the receipt. Warehouse receipts are common documents in international banking. Water Feeder: Transports cargo to non-direct ports of call. Weight: (a) Gross: The weight of the goods including packing, wrappers, or containers, internal and external. The total weight as shipped (b) Net: The weight of the goods themselves without the inclusion of any wrapper (c) Tare: The weight of the packaging or container (d) Weight / Measurement Ton: In many cases, a rate is shown per weight/measurement ton, carrier’s option. This means that the rate will be assessed on either a weight ton or measurement ton basis, whichever will yield the carrier the greater revenue. As example, the rate may be quoted on the basis of 2,240 pounds or 40 cubic feet or of 1 metric ton or 1 cubic meter (e) Weight Ton: There are three types of weight ton; the short ton, weighing 2,000 pounds; the long ton, weighing 2,240 pounds; and the metric ton weight 2,204.68 pounds. The last is frequently quoted for cargo being exported from Europe. Wire Transfer: Electronic transfer of funds.